Happy New Year from WGT! 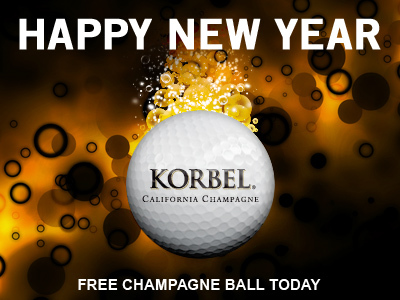 To ring in the new year, get a free Champagne Vapor virtual golf ball if you play WGT today, 12/31. The Champagne Vapor virtual ball gives you extra distance and spin, plus a fun bubbly vapor trail to make any round feel like a party. These also make great gifts for your WGT friends, just click GIFT in the Pro Shop. 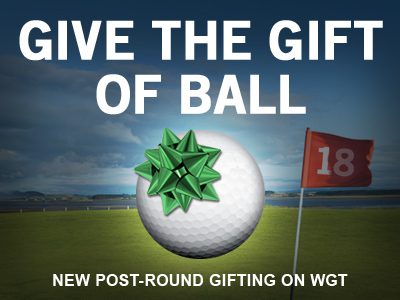 *Special offer for WGT players who log in and play WGT on 12/31/14, receive one free WGT Champagne Vapor virtual golf ball. Play the newest 18-hole stroke play course on WGT Golf Mobile, the Best of Bandon Par 3s. This new course features the best par-3 holes from all 5 Bandon Dunes Golf Resort courses, as voted on by fans. Bandon Dunes is America's #1 rated golf course according to Golf Digest. 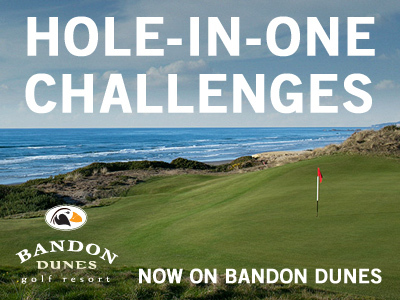 Choose to play Bandon Dunes in stroke play or closest-to-the-hole games -- now with hole-in-one challenges on every tee shot. And be sure to play the new Head-to-Head games, the most popular new multi-player game, featuring quick 3-hole stroke play matches live against other WGT players. Enjoy, and please take a minute to rate and review the app in the App Store. Thanks! 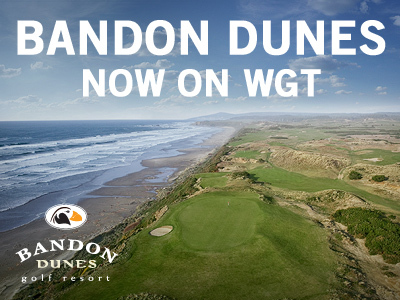 Now you can play WGT Brackets on the new Bandon Dunes golf course for a new way to compete against other WGT players. Brackets are games where you compete against other players head-to-head for 9 or 18 holes, with winners advancing to the next round until a final champion is decided. 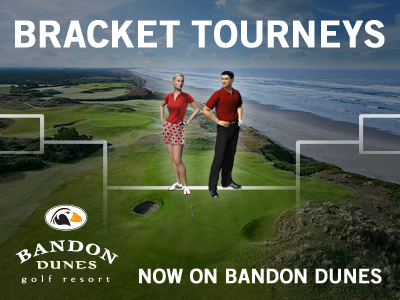 Choose to play either free or paid brackets to win WGT Credits, on the new Best of Bandon Par 3s course. 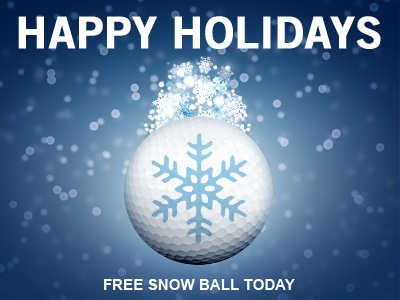 As a holiday gift to you, get a free Snow Vapor virtual golf ball if you play WGT today, 12/25. The Snow Vapor virtual ball gives you extra distance and durability, plus a snowy vapor trail to add some winter fun to your game. These also make great gifts for your WGT friends, just click GIFT in the Pro Shop to share the love. 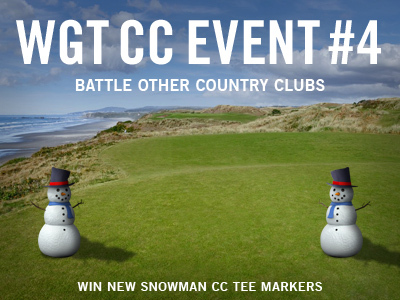 *Special offer for WGT players who log in and play WGT on 12/25/14, receive one free WGT Snow Vapor virtual golf ball. The newest stroke play course on WGT is now available to play in fun, fast Ready-Go tournaments. 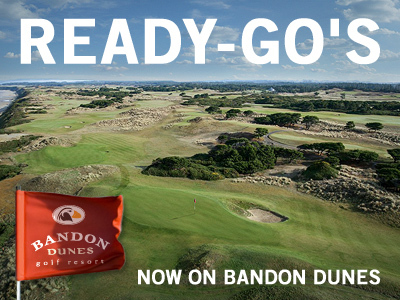 Join a paid Ready-Go to compete against other WGT players for WGT Credits, to experience the beautiful Best of Bandon Par 3's course in a new, faster way. The top 30 of 50 scores earn credits, that you can use to upgrade your virtual equipment, enter other tournaments on WGT or even more Ready-Go's! Have a great match on WGT? Now it's easy to buy your opponent golf balls after a round. Whatever the reason, you now have a quick and easy way to send a gift at the end of a multi-player game. Just click the new gift box icon after your round to buy your opponent a sleeve of the balls that they're currently playing. Note, with this new feature you're buying the virtual golf balls just like you would by selecting "GIFT" in the Pro Shop, so your Credit balance will reflect the purchase. Not only is the new Best of Bandon Par 3's course beautiful and challenging, but now you also have 18 chances to earn credits with Hole-In-One Challenges. Win WGT Credits by shooting a hole-in-one, or landing the ball within 1 or 5 feet of the hole. Choose either 10, 50 or 100 credits and you'll see the potential earnings that vary for each hole. Hole-In-One Challenges are available on par-3 tee shots in both closest-to-the-hole and ranked stroke play. *Hole-In-One Challenges are available to players in all countries, except in three U.S. states: Montana, Tennessee and Vermont. This week's Country Club of the Week is... BRIDGESTONE Golf, which clearly has some proud club members! The BRIDGESTONE Golf country club has 90 members, including 4 officers, with more than 4.5 million Experience Points (XP) earned. They are approaching Club Level 9, but currently at Club Level 8, they have unlocked a number of country club benefits, including a free Putter Pal and Shot Pal for all of their members and earning +3% XP per round. Keep playing using CC Passes to level up your club to unlock these benefits too. "Bridgestone CC is proud to follow in the footsteps of several other great CCs in being named 'CC of the Week.' This award is kind of special, because until they read this, our owner Moosetaya and the rest of the club have no idea they are up for the award. Moosetaya, took over the CC, from the previous owner and the CC has grown steadily under his leadership. Many of the members have risen from the lower tiers to Tour Legend, because of the help and guidance given within the CC. Finally, Bridgestone would like to take this opportunity to wish you all a Merry Christmas and we look forward to seeing many old friends, plus some new ones in the new year." The current Weekly Leaderboard below shows The old duffers retreat in the top spot, followed by The Peoples Club, followed by Sherbrooke Country Club, IBIS GC, The Georgian and the The Madrid Golf Club. The popular new Volvik virtual golf balls just got vapor trails. Get the new Volvik Crystal Vapor balls in the same bright colors, but now with matching color vapor trails to help you trace your shots thru the air. Choose from yellow, green, orange, pink and pearl colors. These are the #1 color golf balls on tour, available now on WGT with vapors to add more distance, short game control and a slower WGT swing meter for your game. 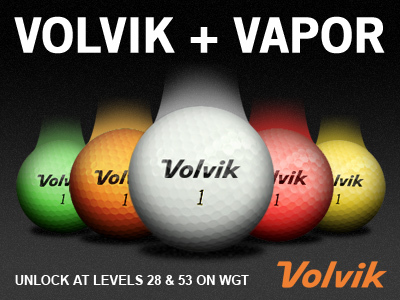 New Volvik Vapor virtual golf balls unlock in the Pro Shop at Level 28 and Level 53. CC Event #4 is now over, thanks to the thousands of country clubs who participated! Members of all the top 1,000 finishing country clubs have each earned rewards, which are awarded automatically. These include bonus CC Passes and Speed Boosts so players can play more games faster to earn more points for their country club. Plus, the top 25 finishing clubs have been awarded the new Snowman tee markers and flags, that they can use in their own country club tournaments for a winter-y touch anytime of the year. Congrats to No Quitters Here Please, the winning club of the event that gets to award one lucky club member with a gold MAX CC Putter. At Club Level 9, the club has earned more than 6 million Experience Points (XP) thanks to its 95 members. Who will club owner thesnakeyes choose to receive the new putter? See Event Leaderboard in the Country Club section in-game. Note, our system incorrectly rewarded some players in CC Event #4 more free CC Passes than they should have earned, but player accounts have been updated with the correct number of free CC Passes, and in some cases players may end up with a couple extra free CC Passes to enjoy.